Home News Could you be the next Led Lenser Wartrail Challenge champion? Could you be the next Led Lenser Wartrail Challenge champion? Calling all maverick, crazy, brave-hearted, extreme multi-sport athletes – if you are not doing anything between the 16th and 19th of March 2018, then you might want to get your entry in fast for the 2018 LED Lenser Wartrail Challenge presented by Fluid Kayaks. 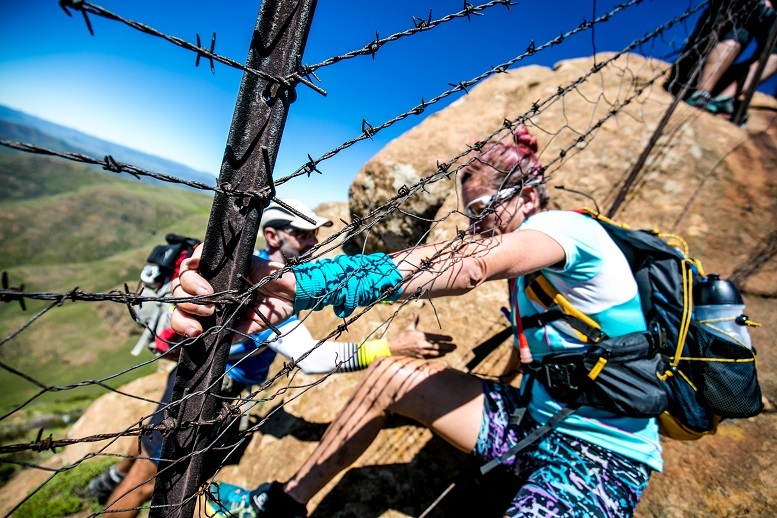 This heroic race takes place in the iconic Witteberg Mountain range in Lady Grey in the Eastern Cape. Various entries are on offer for the Wartrail Challenge; a single leg option or as a relay event of three members, with one member for each Stage OR as pairs, paddling a K2. However, the SOLO challenge is the ultimate challenge, with one discipline per day in a totally self-sustainable event, meaning that each athlete or team will have to provide own back up, with vehicle, logistics and support crew. If that all sounds too easy for you, you can always take part in the Wartrail Non-Stop version, a 120km MTB ride, a 60km mountain run and a 65km paddle one after the other as part of a team of 2, 3 or 4 athletes. “Our only entry requirement for competitors is that they must be 100% fit and healthy, with a keen respect and knowledge of the outdoors, including navigational skills. Temporary sports insanity is a bonus,” laughs Mike. The event, which started in 2000, attracts some of the biggest names in the sport with past winners including Tim Deane, Mark Preen and Tatum Prins. 2017’s Wartrail Challenge champion and previous SkyRun champion, Christiaan Greyling, will not be back to defend his title this year, so who knows maybe this is your year to take the crown? Fluid Kayaks will be hiring Synergies for the event for anyone unsure about their paddling skills or for those who do not want to transport boats to the race.